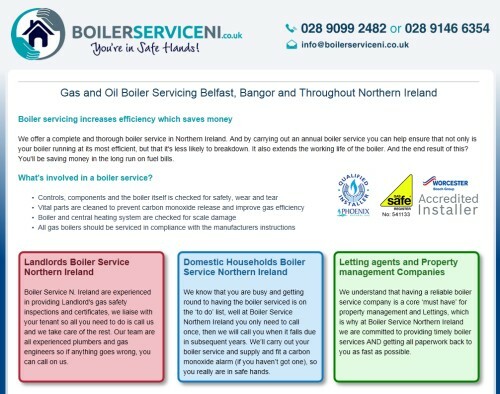 Boiler Service NI offer a complete and thorough boiler service in Northern Ireland. And by carrying out an annual boiler service you can help ensure that not only is your boiler running at its most efficient, but that it’s less likely to breakdown. Ardnet Online solutions designed this Microsite to promote this specific service. Microsites are a great and cost effective way to promote a single product or service.